Audi recently gave the A4 a facelift and it was a rather quiet one, with not many enthusiasts caring much about it. Sure, it helped make the A4 look a bit better but the facelift wasn’t really necessary to begin with, as the pre-facelift car was already really good looking. 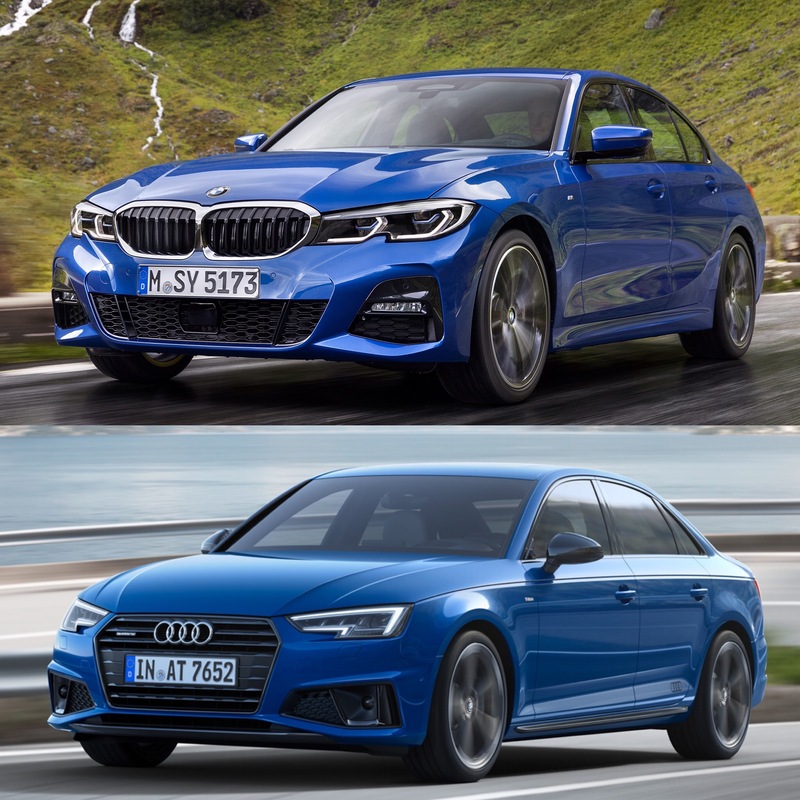 However, that facelift is welcome now, as the main Audi A4 competitors just got a brand-new model — the new G20-generation BMW 3 Series. We tested the current B9 Audi A4 against the old F30-generation 3 Series and felt that the new A4 was better but not by much. 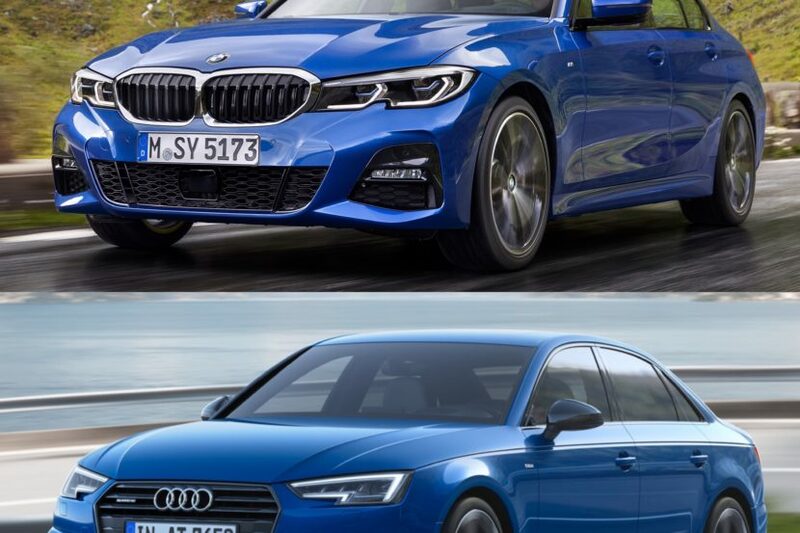 So the fact that BMW just came out with a new 3 Series might spell bad news for the A4. Especially considering that BMW has put in a ton of effort into making the new 3 Series the best handling car in the class. We haven’t driven it yet but we will and we’ll find out if BMW’s efforts paid off. But we’re not here to talk about how the cars drive. Instead, we’re here to talk about how they look. So let’s compare the two back to back. From the front, the new G20 3 Series immediately makes the A4 look old. 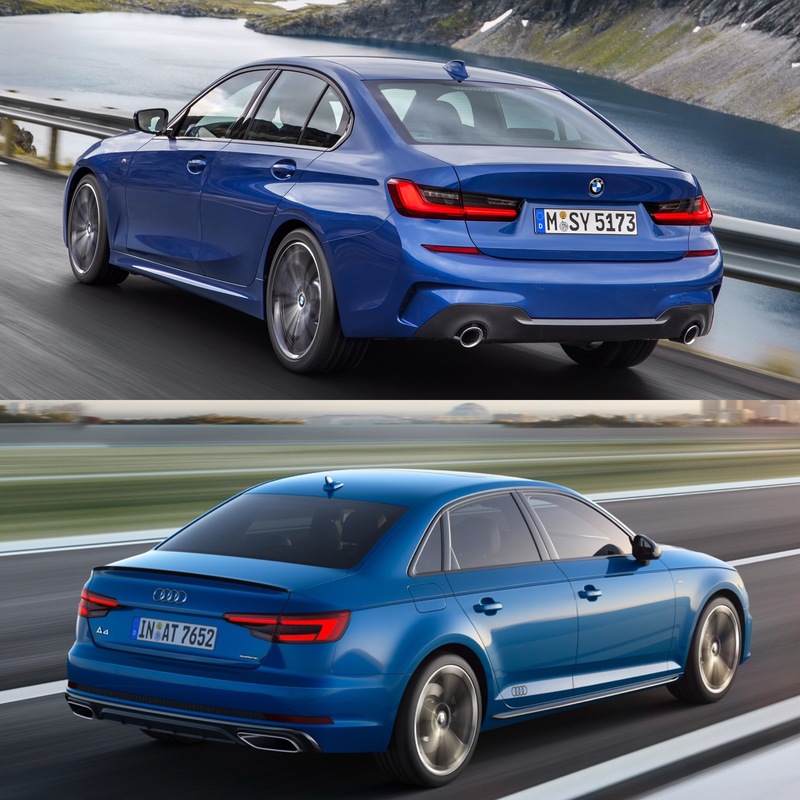 Even the new facelifted B9 A4 looks a bit bland and outdated compared to the new 3 Series. The new BMW’s headlights look really good, with the little notches cut out of the bottom, and the front air intakes look really sporty. Out back, I actually think the Audi A4 looks better than the new 3 Series. It’s not that the Bimmer looks bad, it just looks a bit like a Lexus IS and that kind of ruins its identity a bit. I also think the A4’s taillights are better. In profile, I think the BMW 3 Series has it over the Audi A4. It just has more character lines and more aggressively flared rear haunches, which combine to make it sportier and more muscular looking. The A4 is a handsome car, it’s just a bit slab-sided. Where the two cars are closest, though, is inside. The BMW 3 Series finally gets rid of its outdated interior for a far more modern, far more stylish one. What’s impressive is how well the A4’s cabin has held up, despite being a few years old now. It still looks very high tech, very modern and very slick. Each car deals a blow to the other on the inside, in different areas. 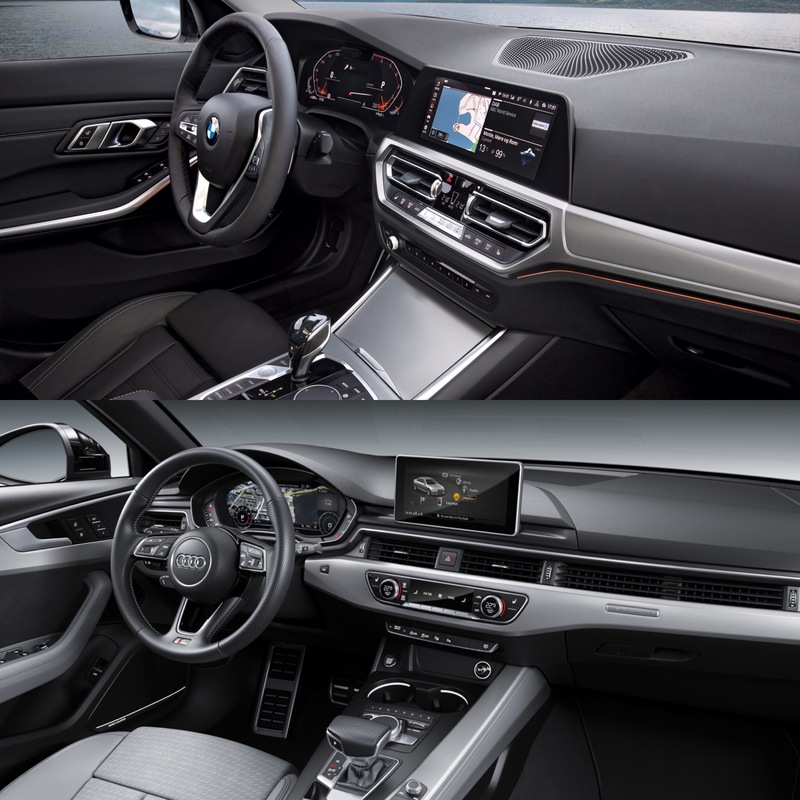 For instance, BMW’s new iDrive infotainment system seems far better than the A4’s version of MMI but Audi’s Virtual Cockpit is better than BMW’s new digital instrument panel. 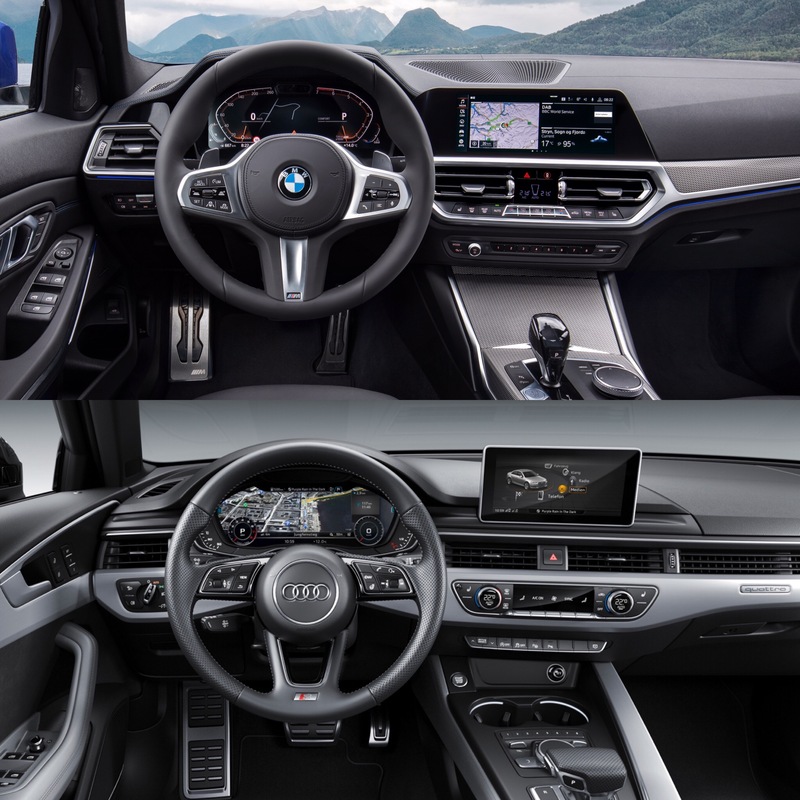 BMW’s steering wheel looks sportier but Audi’s looks more high-tech and modern. The Bimmer has more aluminum and looks a bit more expensive but the Audi has a bit more minimalist, slick look with its horizontal air vents that span the dash and simplistic but modern climate controls. In terms of pure looks, I think I have to give the BMW 3 Series the win, though. The Audi A4 has a lot of redeeming qualities and, with the right packages, can look very sporty in its own right. But the new 3 Series just looks more aggressive, more muscular and more athletic. Both interiors are really good and each has its own strong suits, so it’s a bit of a draw there. 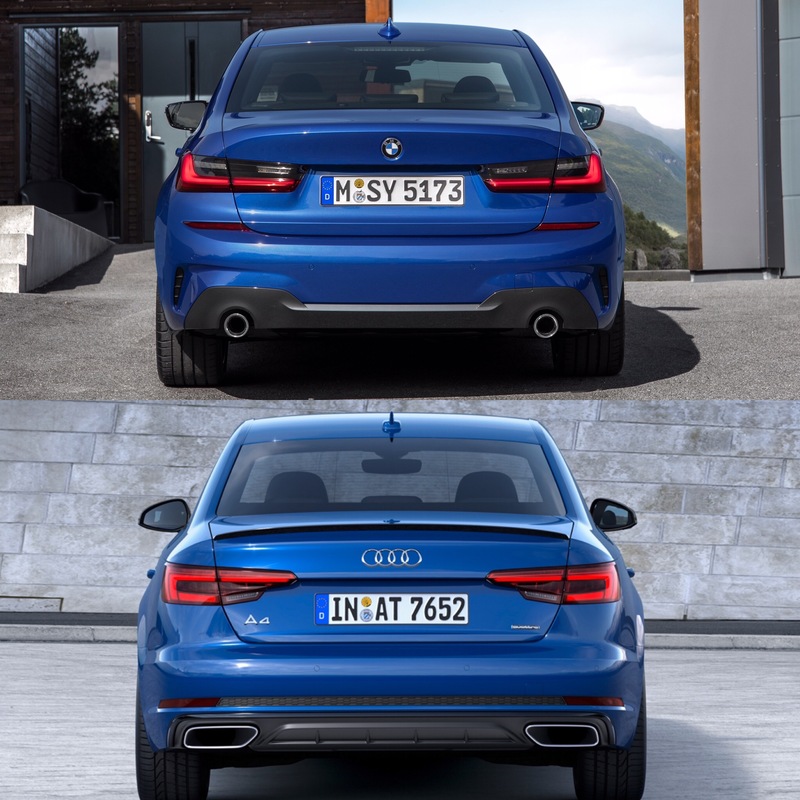 On the outside, though, the new 3 Series edges the A4 just a bit, just enough to get the win in my book.